Composed by Duke Ellington (1899-1974). Arranged by Ralph Ford. Jazz Ensemble; Performance Music Ensemble; Single Titles. Young Jazz Ensemble. Jazz. Score. 16 pages. Duration 3:20. Alfred Music #00-46157S. Published by Alfred Music (AP.46157S). 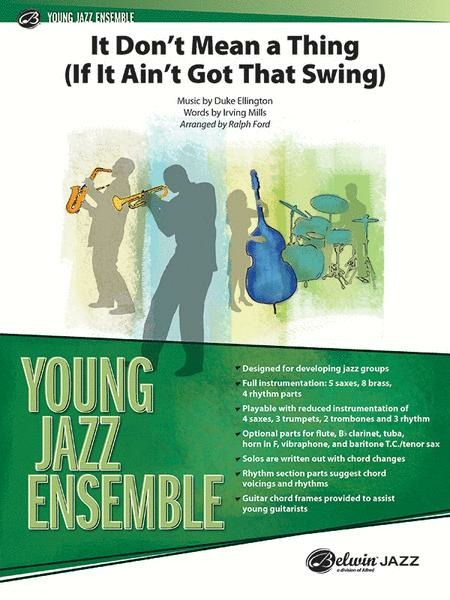 You may think this chart is all swing but it begins as a Latin then alternates with a swing feel---very clever! The tempo is bright at around 190-200 BPM. With written-out solos for trumpet and tenor sax, a few piano montunas, a big shout chorus and the big ending closes up this fine chart. It's hot! (3:20).